You can use API Portal to create a simple application that utilizes the APIs in API Catalog. Enter the details for your application. Select the APIs you want to assign to the application. 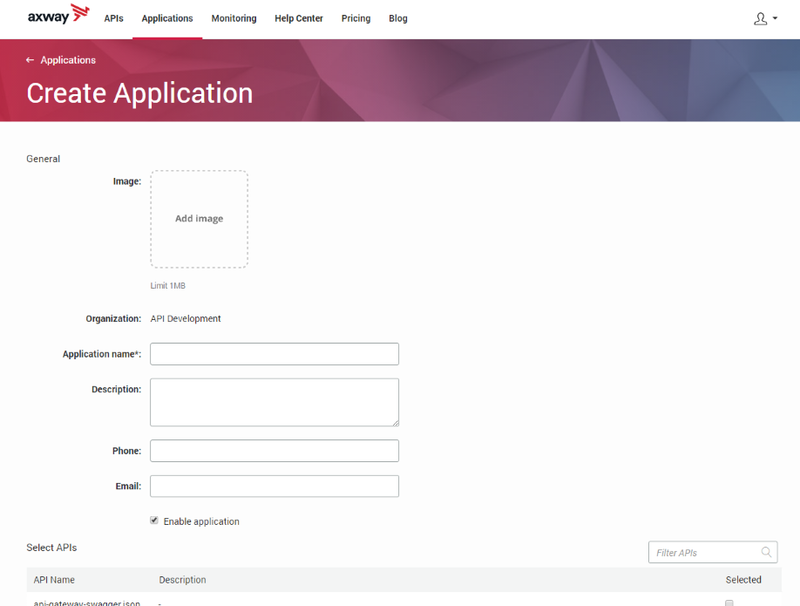 The application is saved in API Manager and visible in the applications list as pending for approval. The API administrator must approve the application before the application is enabled in API Portal.